ETH-V3D Structure-and-Motion software was created by Christopher Zach. The original source code with dataset is available at Christopher Zach Open-Source page (GPL license). I have created a windows port of V3DSfMToolkit with scripting wich is available as both binary (V3dSfMToolkit1.zip) and source (github). 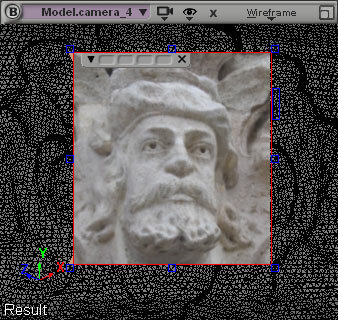 I’ve tested this toolkit with the dataset given by Christopher Zach (see above screenshot) the reconstruction looks good but I only managed to get partial reconstruction from my own dataset. Quasi-Euclidean Epipolar Rectification: MissStereo created by Pascal Monasse, Neus Sabater, Zhongwei Tang. The original source code is available at the IPOL related page under GPL license. You can download my windows port as both binary (MissStereo1.zip) and source (github). I’m interested by this method to estimate the fundamental matrix without prior focal length knowledge. As usual, the new version of PhotoSynthToolkit including this new feature is available on his dedicated page. SFMToolkit was packaged with BundlerMatcher, my own matching solution using SiftGPU: this is a trivial quadratic exhaustive matching implementation. This implementation is well-suited for unstructured (unordered) pictures but if you are using a sequence of images as input (movie) you can reduce the complexity of the matching to linear. You can do that by only comparing frame N with frame N+1, N+2 [...], N+p. I’ve also fixed a bug that may occur on some system (Windows 7 x64 with UAC activated): thanks to Josh Harle for the bug reporting! The new version of SFMToolkit is available on his dedicated page: this new feature is hidden, you need to edit “1 – Bundler.wsf” and set SEQUENCE_MATCHING_ENABLED to true (replace false by true). As usual the new toolkit his available on his dedicated page.